GARDENA — The Greater Los Angeles Chapter JACL will present “The Seine: Paris to Normandy, a River Cruise” on Sunday, Sept. 11, at 2 p.m. at Merit Park Recreation Hall, 58 Merit Park Dr. (off 158th Street east of Pacific Square) in Gardena. 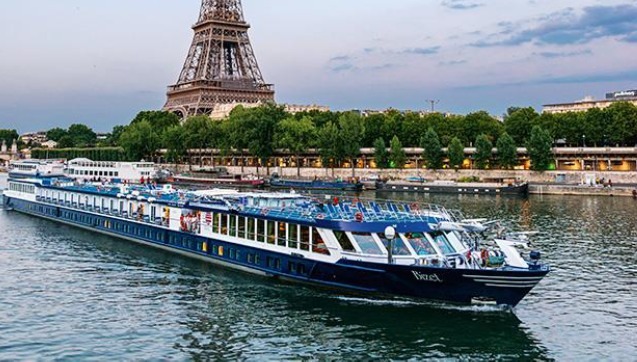 The program will be preceded by a chapter business meeting at 1 p.m.
GLA board member Miyako Kadogawa will give a slide presentation of an April 14-29 river cruise on the Seine from Paris to Normandy. The Grand Circle Cruise Line trip, on which four GLA members and four friends went, was a fundraiser for GLA for which the chapter received $3,000 from Grand Circle. Kadogawa will talk about Paris and excursions to Auvers-Sur-Oise (Van Gogh country), Giverny (Monet country), Rouen, Honfleur, Normandy (site of the American Cemetery for soldiers killed during World War II) and other sites.